Document scanner is a device, which converts a document or text from its paper form into digital data. Portable document scanners include foldable document scanners, handheld wand scanners. All of them are compact, lightweight and perfect for use on the go. They are designed to scan either an entire page or selected portions of a document with precision and quality. 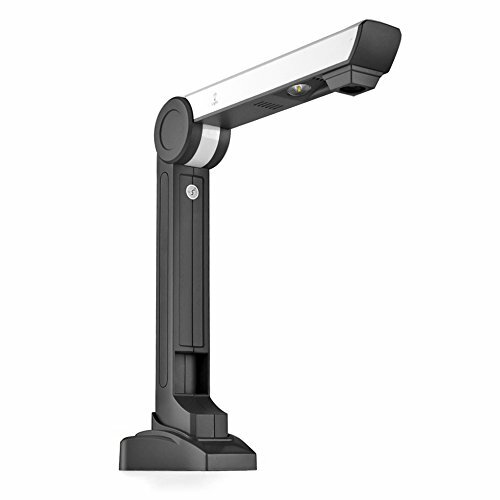 With a USB cable connect with computer, our document scanner camera can store the captured images to computer.The OCR function can recognize texts in different languages directly from scanned pictures, and the text is editable and can be email, print. The file can also be saved in rtf, txt, xls format. Scan Material: Doc, Book, Card, Passport, 3D object, barcode, etc. Microsoft Windows XP / Windows Visa / Windows 7 / Windows 8; Its software doesn't work with Apple Mac OS. High speed scan--Mini photograph scanner can easily scan file,books, photos, barcode, objects, and recorder as high resolution image file.